From the streets of Detroit to number one on the charts, Sean Anderson a.k.a Big Sean has built his career on hustle. He takes inspiration from the simple fact that life is what you decide you want it to be; your decisions, good or bad, define your legacy. He’s embodied this throughout his evolution from local Detroit rapper to international star he’s worked hard to get here, and he never forgets his beginnings. 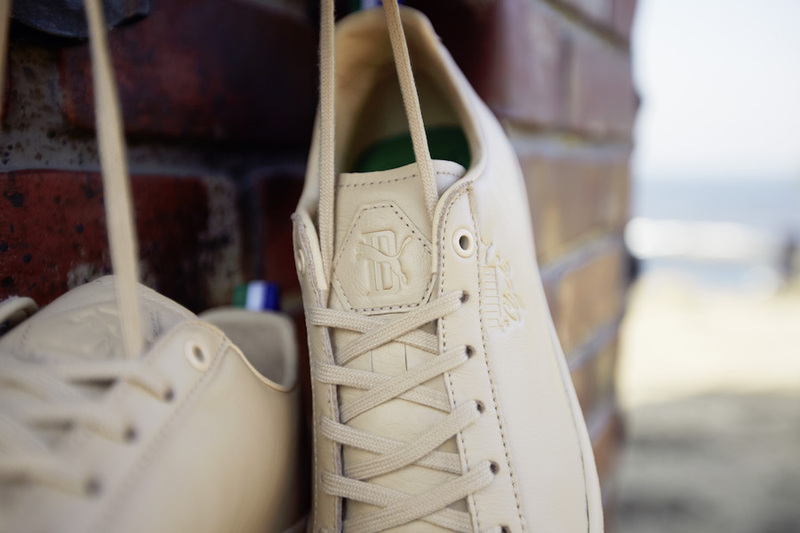 Releasing prior to the full range is a capsule pack that Sean designed to commemorate the Suede‘s 50th anniversary. 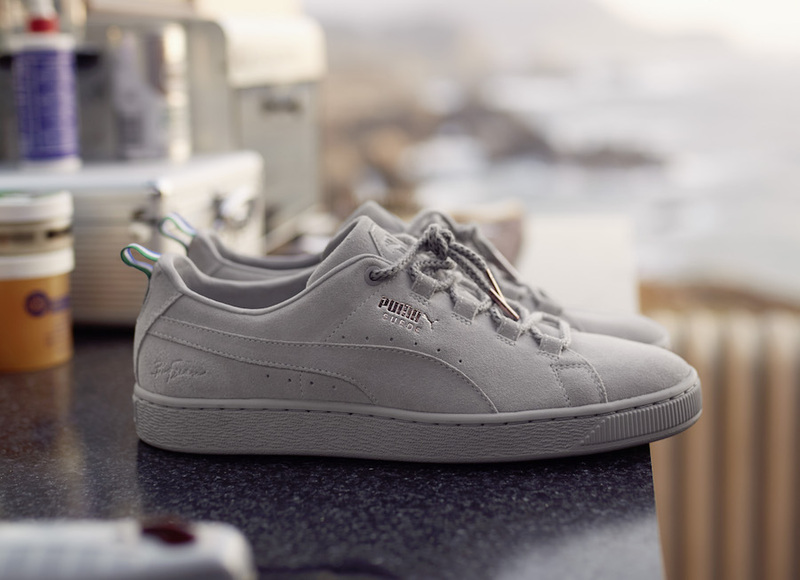 That OG PUMA ‘D’ branding reminiscent of its founder Rudolf Dassler’s logo, premium taping and mix of velour and knits are some of the key features that set the tone for what you can expect from his full collection. 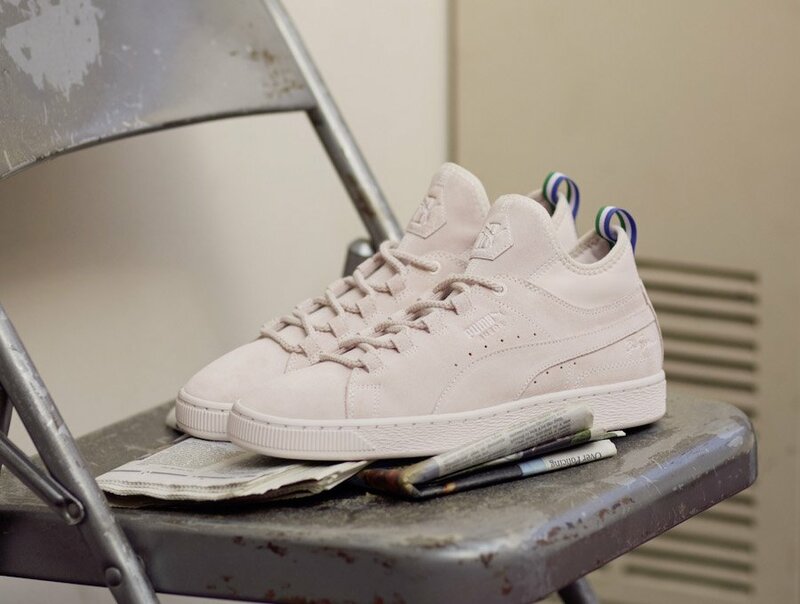 The Big Sean Suede 50 pack features the Suede x Big Sean reimagined mid-cut iteration with a chunkier midsole, prominent PUMA ‘D’ branding on the tongue and iconic Big Sean signature in the outer lateral. Big Sean redefines the. 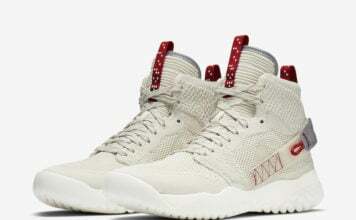 Suede with an extra-clean formstripe, a knitted sock construction and a customized lacing system originally inspired by hiking laces. Sean’s characteristic green white and blue colorway finishes off the clean iteration and appear on the heel loops, sole and foot bed. Sean breathes new life to the classic T7 Track Jacket by giving it his hometown remix. 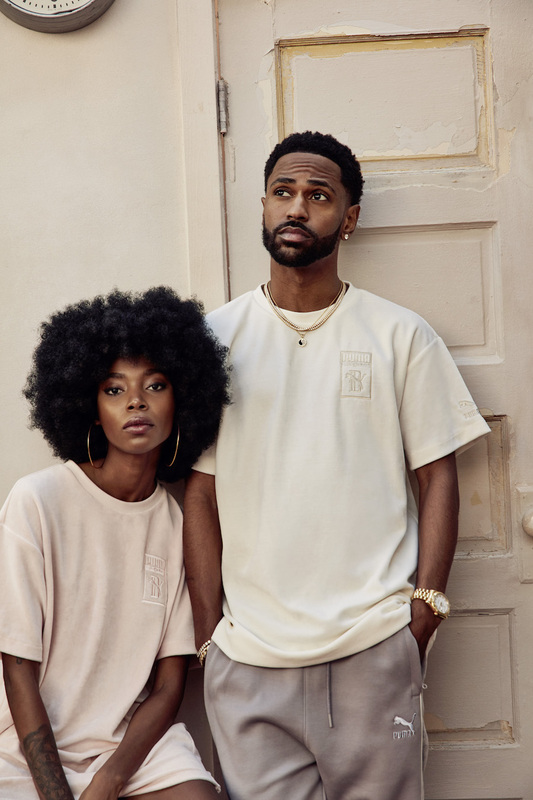 The PUMA x Big Sean T7 Top and Pants is street meets luxe with a mix of soft satin, velour, double-knit and premium taping. A dedicated taping that accentuates the collar, cuffs and waist comes in the same striking green, white and blue combination. Tone on tone branding finishes the clean silhouettes. 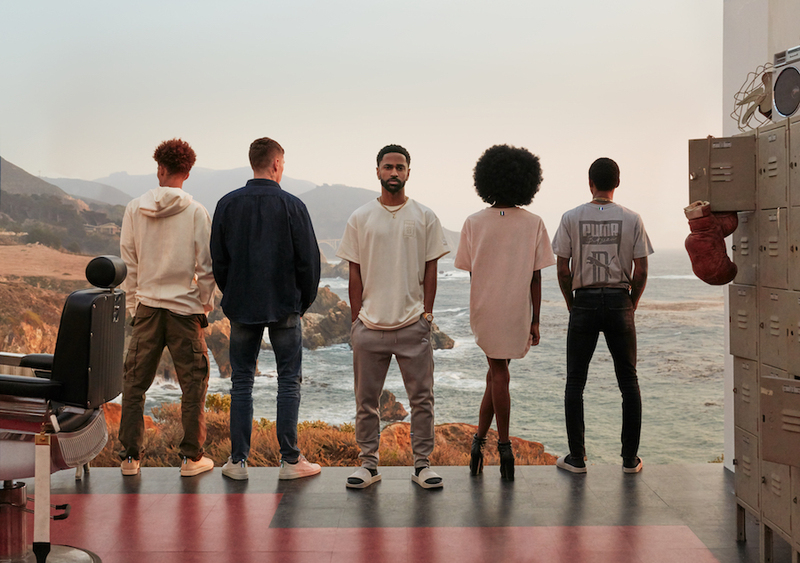 The collection expands to a carefully curated range that celebrates Sean’s style journey featuring classic and streetwear staples in sport-inspired luxury. 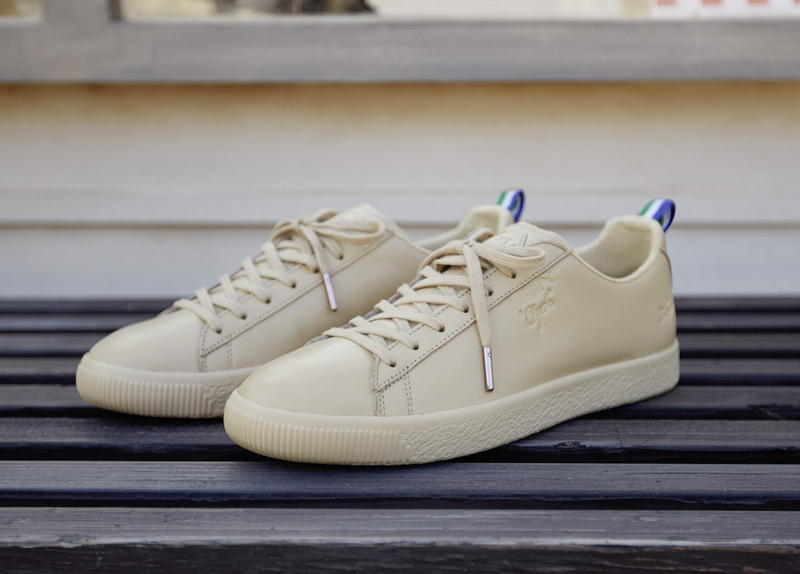 Drop one features another colorway of the Suede in Ash and a crisp rendition of the Puma Clyde, sans the Formstripe, in Natural Vachetta. 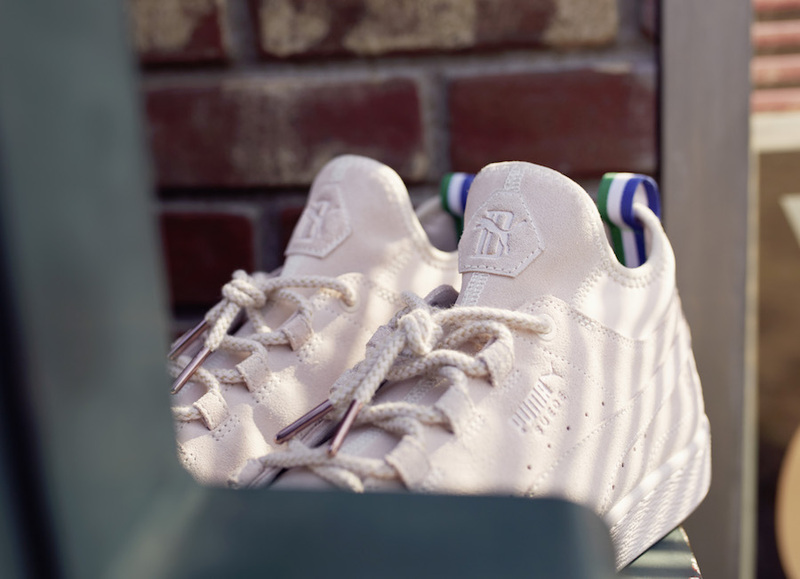 Both renewed classics bear Sean’s signature on the outer lateral side. 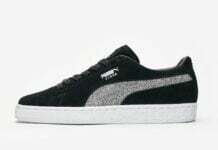 The PUMA x Big Sean Leadcat stands out with premium detailing and his signature logo at the heel. 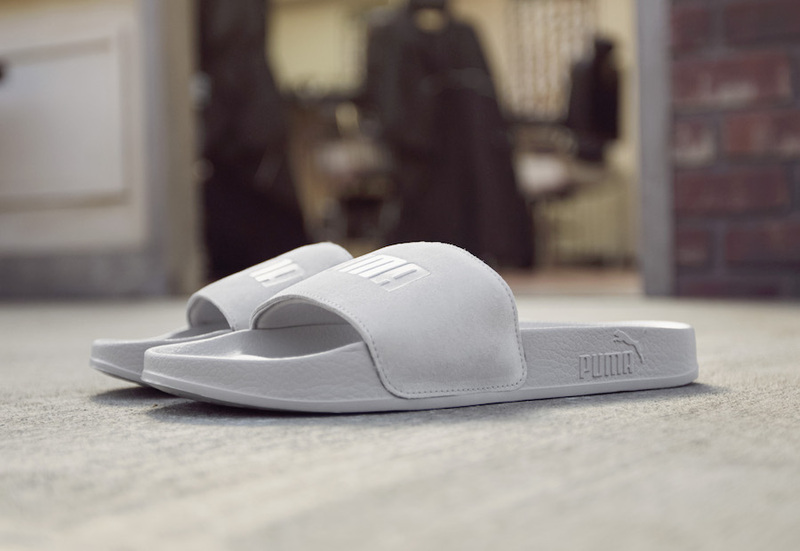 It’s the coziest that you can get with a molded foot bed for soft comfort and padded, premium suede strap. Onto the apparel, Sean took careful considerations on classic pieces and reinterpreting them in an elevated level with luxury fabrics, focusing intricate constructions. His take on the classic coach jacket comes in tonal fabric clashing- soft satin and nylon in Whisper White. 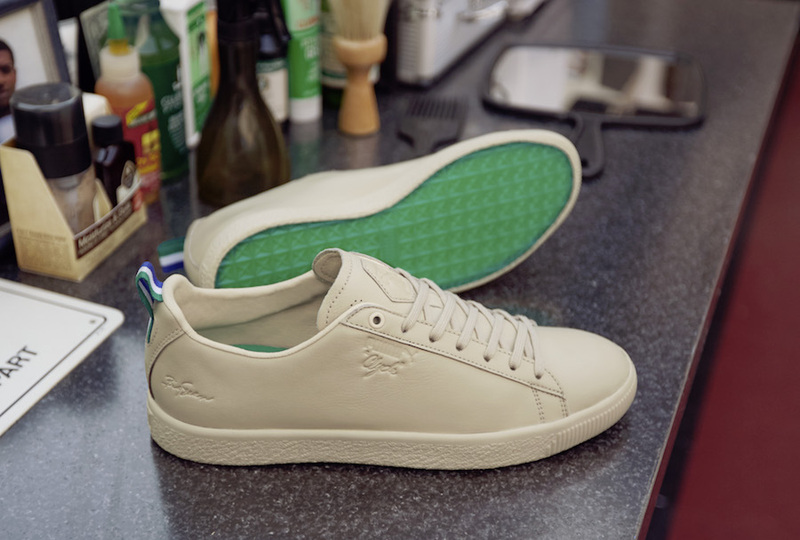 The dedicated tape that runs through the whole collection and Detroit inspired embroidery give the PUMA x Big Sean Jacket a bespoke finish. 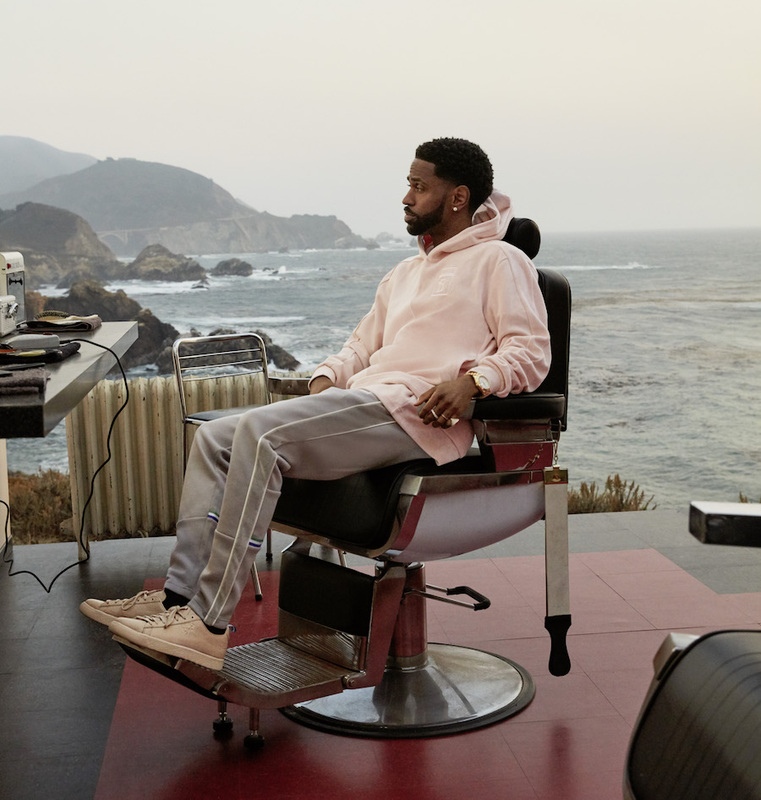 The PUMA x Big Sean Hoodie in Whisper White comes in tonal fabric clashing, half in soft velours and half in premium double-knit. The striped taped that runs as the read thread throughout the collection is applied in a sophisticated placement inside the hood. The hoodie gets it’s elevated finish with a tonal embroidery sign off on the chest. The Classic Tee in the same milky colorway comes with sophisticated details that make it the luxury core piece of the collection. The collection’s trademark tape applied as a loop on the back neck and the tonal oversized graphic on the back. 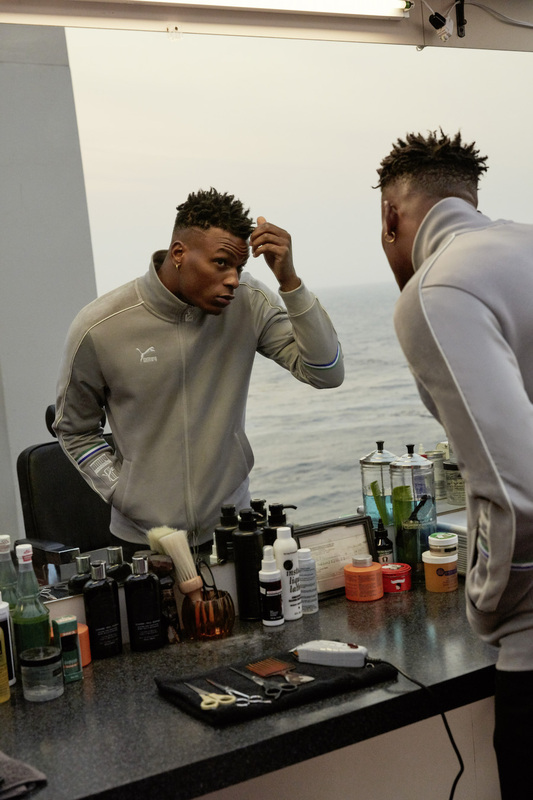 Rounding up the clean and fresh range is the PUMA x Big Sean T7 Track Top and Pants in slightly darker interpretation in Ash. 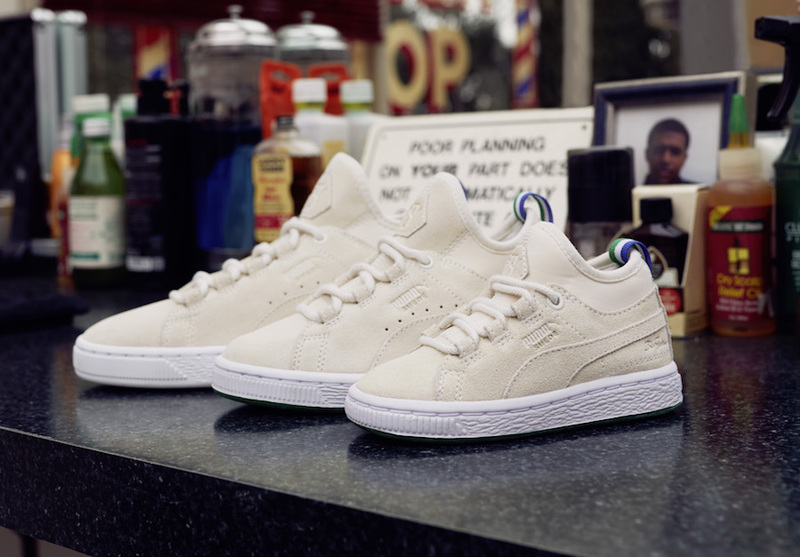 The PUMA x Big Sean Suede 50 Pack drops in select sneaker retailers and PUMA stores worldwide on March 22nd. Drop one of the collection will make its way in stores on March 31st with an exclusive pre-launch at an undisclosed pop-up location in LA. 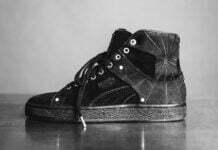 Follow @PUMASportstyle and @BigSean for information. 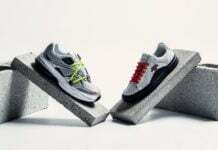 Drop two is slated to release in May.